Whether it's pop-art or silk-screens of celebrities, Andy Warhol has had an incredible influence on modern art of all kinds. His mark is undeniable and his success and fame is also without question. Warhol's art, whenever it is put up for auction, sells at the very highest prices of the all-time masters, alongside Vincent Van Gogh and Picasso. But Warhol's art turns the corner from the original painting styles of brush and oil paint on canvas to using silk-screens, stencils and blotted ink. At the same time, he switched to popular themes, even using advertising tricks to incorporate into his artistic creations. If the impressionists Monet and Renoir were able to change all art that came after them, and again with the surrealists like Dali and Miro, then Warhol seemed to done it yet again, and all art that came after, seemed to have to changed. 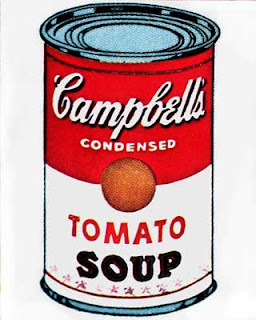 At the time, Warhol's art seemed ultra-modern, overtly commercial and too based in pop-culture, almost indistinguishable from the most commonly viewed household pictures and logos of the marketing world and popular cultural movements. 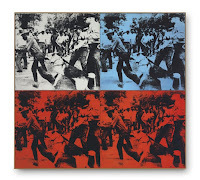 But other artists seemed to understand Warhol even if the people and art-critics didn't. Was Warhol really just a marketing-expert ahead of his time, or a real artistic genius reflecting our reality back to us in a way that only great artists can do? 'art' for advertising and posters for companies as images to represent brands. Ironically, his first real fame as an individual artist came from taking already existing commercial brands and re-imaging them into 'art'. First it was Campbell's Soup Cans, then it was the Brillo soap pads and even the iconic Coca-Cola. Everyday consumer products turned into art. The only confusing part of this equation was that the 'art' was identical to the real thing. The name was not changed for a new brand, the colours and shapes were not re-arranged for a new, more appealing design. 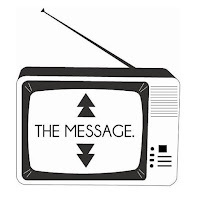 The messages and branding were not altered for political statement or shock value. Warhol literally did not change anything to make his sculpture or art unique or different. Warhol's stack of soup cans was literally the same stack of soup cans that anyone could see for themselves by going to any typical grocery store in the United States. consumers buy essentially the same things as the poorest. You can be watching TV and see Coca-Cola, and you know that the President drinks Coca-Cola, Liz Taylor drinks Coca-Cola, and just think, you can drink Coca-Cola, too. A Coke is a Coke and no amount of money can get you a better Coke than the one the bum on the corner is drinking. All the Cokes are the same and all the Cokes are good. Liz Taylor knows it, the President knows it, the bum knows it, and you know it." And it's true: Andy Warhol thought the American consumer was a little bit special, because the rich, famous and powerful used essentially the same products as the poorest Americans. There has never been two tiers of Coca-cola-drinkers. There is no rich-man's extra-sweet Coca-Cola and no poor man's roadhouse-style Coca-Cola. 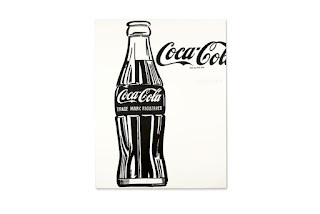 There is, and was, only one Coca-Cola... except of course, for Andy Warhol's Coca-Cola which costs $57 Million. Andy Warhol had a hand in many types of art, from sculpture to painting to drawings to movies and film, but his foremost contribution to music was being the producer of a band called Velvet Underground which is perhaps the first art/alternative bands of all time. 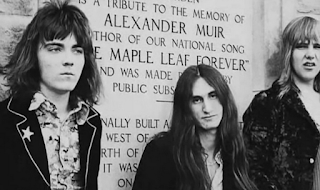 They were neither pop nor rock and neither psychedelic nor improvisational. It was the launch of the career of Lou Reed and John Cale, who would go on to greater success later on, and they may or may not have given birth to what is sometimes referred to as 'Art Rock' influencing bands such as Devo and Talking Heads. Andy Warhol first used Velvet Underground as part of his 'Exploding Plastic Inevitable' multi-media exhibit. Later he teamed up this band with a woman named Nico, who provided vocals on a handful of tracks and was largely providing her services at the request of Warhol himself. Nico was also a subject of one of Warhol's 'screen tests'. The Velvet Underground's first album didn't sell very well, but it's influence would be huge. Brian Eno (Roxy Music) is often quoted as saying: "The Velvet Underground's first album only sold 10,000 copies but everyone who bought it formed a band." Eventually, the album would gain in popularity and become quite successful, achieving a kind of cult-hit over years of discovery and re-discovery by music fans. Incidentally, Andy Warhol's 'Producer' credit on the album was largely earned the old fashioned way; by providing financial backing for the recording, promotion and production and not much else. The Velvet Underground may have given the start to the careers of the artists John Cale and Lou Reed, but it also influenced a few others much more directly than Brian Eno. Through the Velvet Underground and other artistic influences, Andy Warhol also managed to influence and inspire many artists, some of whom were friends and collaborators. In the late sixties, Iggy Pop traveled to New York for the first time and met many new friends and artists who all seemed to have Andy Warhol in common. The aforementioned Nico became Iggy's 'girlfriend' for a while, but John Cale became the producer of the first album by Iggy Pop's band The Stooges. At one time in 1968 David Bowie's career consisted of a single hit in 'Space Oddity'. And although Bowie was fairly successful as a singer-songwriter performing by himself onstage with a twelve-string guitar and a microphone, it seemed that the influence or confluence of the ideas of Andy Warhol, Lou Reed, Velvet Underground and others would inspire Bowie to first form a rock band and then transform himself into the glam-rock superstar that would explode his career in the 1970s. It was also clear that he took a little hint from some of Warhol's transgender 'Superstars' to create the androgynous/alien look and style of his persona Ziggy Stardust. Lou Reed, of course, would go on to collaborate with both David Bowie and Iggy Pop as both songwriter and performer. Although David Bowie's relationship with Andy Warhol was not as close as the members of the Velvet Underground, It is well-known that David Bowie was inspired to do two tributes to Andy Warhol, first writing a song about him which appeared on the Hunk Dory album, and later in 1996, playing Warhol in the movie Basquiat. Screen Tests: Andy Warhol filmed several actresses, actors and artists doing what he called 'screen tests'. The ironic thing is that the people in these screen tests were not given lines to say or parts/characters to play. Nor were they attempting to showcase their talent or acting ability. They usually just sat in front of a camera and were allowed and encouraged to pretty much do nothing and say nothing for about three to five minutes or longer. Occasionally these subjects would look around the room, smoke a cigarette, or pick up a book, but usually not much else. What comes out of this 'experiment' is some kind of a portrait that just happens to move. There were numerous people of varying fame and celebrity who took part in these screen tests, including Bob Dylan, but one of Andy Warhol's favourite subjects was Edie Sedgewick, whose fame and success largely came from her association with Andy Warhol and not from blockbuster Hollywood movies. The original Warhol screen tests did not have a soundtrack, but this one we've posted is one of Nico, who is singing the background song All Tomorrow's Parties by Velvet Underground. What is this? Is it Art? Advertising is devious and incessant and exists largely to sell products without you thinking too hard about it. It encourages short attention spans and avoids drawing too much attention. Most people go through life thinking that they can just ignore ads and images created by corporations. The truth is that we are shaped by it, formed by it, and we conform to it. It is in our minds whether we want it there or not, whether we think about it or not. Most people growing up in a North American setting couldn't possibly imagine Ronald McDonald doing something terrible or criminal, even though the character is pure fiction and entirely corporate. The reason is because of Advertising, which has taught us that even fictional clowns are representatives of something. Advertising is made all the more powerful by not requiring much of our mental faculties. It doesn't take too much of our time or attention and allows us to get on with our day once the ad has filled your brain with fifteen to sixty seconds worth of 'buy this!'. But then one day an artist comes along and takes your most familiar consumer products, copies their image identically, without changing anything and puts it right in front of you, perhaps in mass quantities like a giant stack or wall-size poster. And now suddenly you're looking at the exact same thing that you're probably used to dismissing or ignoring and wondering 'Why should I pay attention to this?' 'Is this Art?' What's even more boggling to a viewer of this type of art is the categorical acceptance of the product itself. 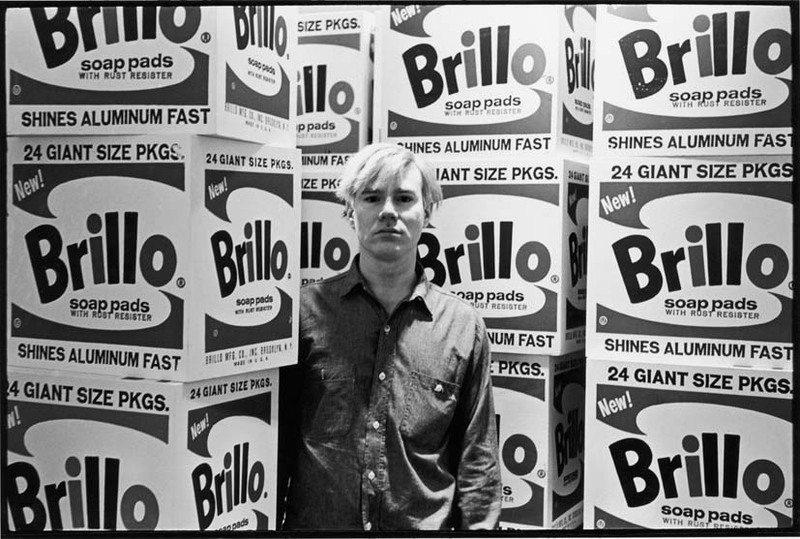 Warhol was well known to both use and even endorse the products that he made into art. Was he intending to cast himself as part of a real-life commercial or was he bringing to life the 'commercial endorsement'? When Warhol stopped painting the American Consumer Product to turn his attention to making films, many critics felt that his best work was already behind him. Frankly most of Warhol's movies were low budget and nearly plotless cinema that endeavoured to show 'A day in the life' of certain strange and ecclectic characters without much explanation of the characters themselves. His 'screen tests' were certainly not tests of acting ability or 'screen charisma' and they led to nothing and didn't accomplish anything in themselves and made for little use other than serving as something nice to look at once in a while. Other films, like 'Empire' is which an eight-hour long stare-fest at a view of the Empire State building shot from dusk until dawn the next day, seem self-indulgent and without aim. There is no talking no actors and no sound. It all seems a bit pointless; a bunch of people running around making films of things and subjects that would otherwise be uninteresting or just overlooked. And yet.... everything that Warhol did in his movies is being done today. Literally everything...whether in homes, the so-called 'reality television', on the internet or in advertising, nearly all of Andy Warhol's movie ideas are currently being used right now in 2016. City centres, iconic landmarks and cultural buildings around the world are being watched by webcams for days and days, through changes of season and bad weather, making 'Empire' seem contrite. If you think Empire is strange and too long, then do a YouTube search on the words '10 hours of' and see what comes up. Plotless 'reality TV' shows people doing next to nothing on a daily basis, the only interesting things happen when people interact and personalities clash. Highway signs and billboards are video screens in this modern age and Warhol may have envisioned a amalgamation of moving pictures and billboard advertising, because these huge, flat screens often show a single person sitting, dancing with friends or smiling or drinking a beverage or getting their hair blown by the subway train . It's all seemingly completely pointless and it usually just repeats over and over constantly, occasionally the person in the ad even makes eye contact with the camera or viewer, much like Warhol's screentests. Strangely however, all this video seems to draw eyes and attention despite itself. People all over find themselves staring at buildings and repetitive video while standing on a subway platform or while they are in line waiting for the bank teller. And lastly, and perhaps more surprising than anything: Transgender roles are currently, actively and deliberately being made for both movies and television in every sort of genre of story just as Andy Warhol did in the 1960s. It's confusing to wonder whether Warhol's biggest impact was made in film or painting. Warhol's most famous quote; came from a pamphlet promotion for his exhibit in Europe, and in it, he declared: "In the future, everyone will be world-famous for fifteen minutes." And this quote has been interpreted as an idea that Warhol had some sort of pre-cognition and was foretelling of things like the fleeting fame of 'reality TV' or the even-shorter-term of longevity of a YouTube star. But this is a negative view of his idea, whereupon all accounts of Warhol's personality suggested that he quite liked the idea of celebrity. Celebrity is another thing, like commercials, that all people are aware of, whether they choose to pay attention to it or not. While it's true that some 'stars' are forgotten or sometimes outlive their popularity achieved through movies, television or art or music, we often treasure these famous people well into their elderly years even though their prime and productive greatness is long past. But Andy Warhol was years ahead of himself when he showed people another kind of celebrity, the celebrity as a celebrity who is a celebrity simply because he or she is a celebrity. 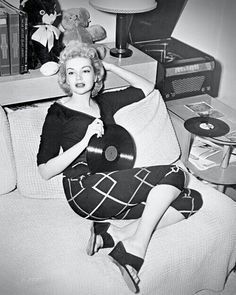 You see, somehow, up until about 1960, we all thought that celebrities had to have talent or skill or ability, they had to be the star in a really big movie, or do something heroic or special to 'make the news' and then that person would be a Celebrity, even if it was only in their home town. Then Andy Warhol came along and realized that you don't really need anything to be a celebrity. A Coke bottle is a celebrity. A can of soup is a celebrity. Most of his own 'superstars' were just friends of his and people that he met in New York. They were superstars because he said they were superstars and cast them in his movies. As if to prove it, he appeared on the Merv Griffin show with Edie Sedgewick and said next to nothing, while his 'Superstar' protege took over the interview. The experiment doesn't quite work, because Merv Griffin continually asks questions of the artist, who is viewed as being more famous, but Sedgewick provides most of the conversation as an intermediary. And thus Celebrity is not only achievable, but easy and desirable. Contrary to the many jokes and casual comments made about Warhol's most famous quotation, it is doubtful that Warhol thought that celebrity was less valuable because it was short-lived. He was very much willing to share his own 'celebrity' with others and wanted people to be famous and recognized even if only for a short while. 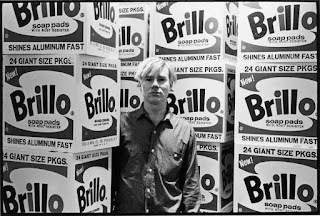 Quite possibly and more likely than the negative connotation of short-lived fame, Warhol probably saw that most people wanted only a little bit of fame and not the whole package of trials and tribulations that come with it. People only wanted a little bit of recognition, not hordes of screaming fans. If you put together the two ideas of celebrity and consumer products, then you might come to the conclusion that Andy Warhol may have thought that if 'celebrity' were an actual product that someone could buy, then most folks would probably purchase about fifteen minutes worth. Afterwards they might just go on with their lives as normal. In this way, Warhol viewed the future as being positive, that each person got a convenient amount of fame, not too much and not too little. Perhaps just enough attention that one person could be listened to for a good idea or a sharing of his or her thoughts.